The city of Dublin has a centuries-long history and many wonderful scenic views and places to visit. From the picturesque coastline and beautiful seaside villages, to the city center’s spectacular views of Dublin Bay. 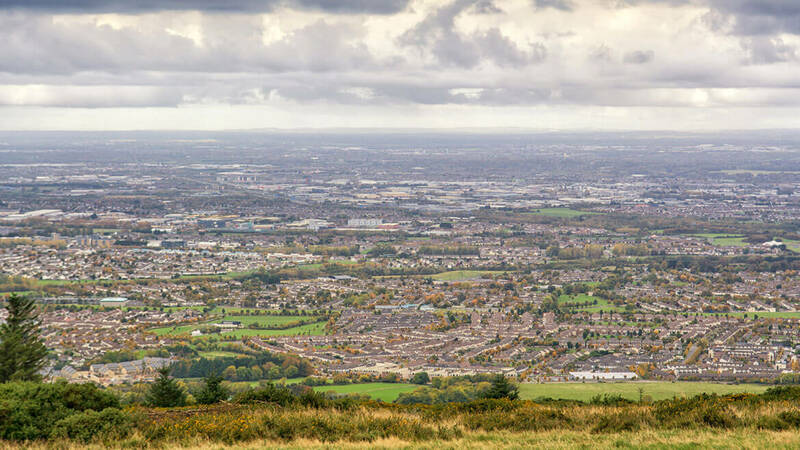 Some of the best lookouts that give you a glimpse of Ireland’s capital are in the very heart of Dublin, while the rest aren’t the ones most frequented by tourists and travelers, and involve a bit of traveling and walking. So, if you want to see Dublin from another perspective, these are the places to visit. 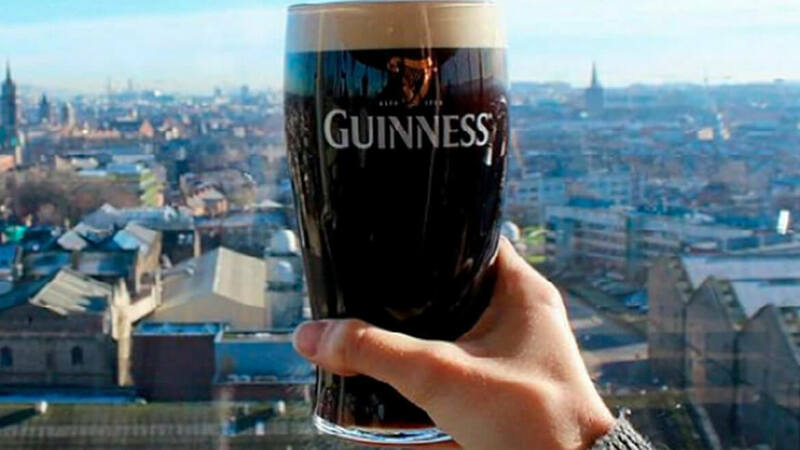 One of the most iconic places to visit in Dublin, is of course, the Guinness Storehouse. After you see how the famous Irish beer is brewed and learn how to pour a pint, head to the Gravity bar on the seventh floor. The circular space will give you a stunning 360-degree panoramic view of the city, and you can try to spot St. Patrick’s Cathedral, the Liberties and Trinity College. 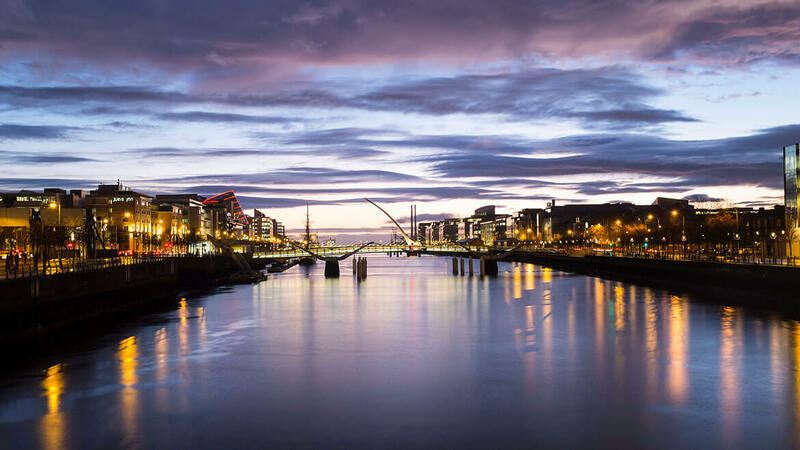 Another charming location in the city that offers a wonderful view are If you wish to visit the place where the old and new Dublin meet, then cross the Liffey in the city center, and stop at the Matt Talbot Bridge. The view of the Docklands is particularly beautiful at night. From the bridge you can see the Convention Center, Samuel Beckett Bridge and the iconic Poolbeg Towers. 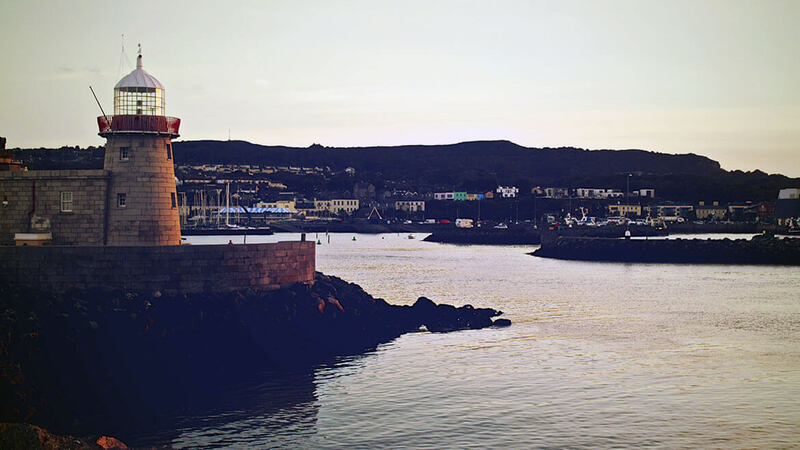 One of the best spots that allow you to look right across Dublin Bay towards Dun Laoghaire and the Wicklow Mountains, and parts of Dublin City, while enjoying the dramatic view of the Bailey Lighthouse below you is the Hill of Howth. The “Summit” offers some breathtaking views, and is suitable for all fitness levels. Before you head to your next stop, make sure to go in the village for some tasty seafood. Taking the fast ferry to Dun Laoghaire might not provide the best views, but the Harbour itself is great. 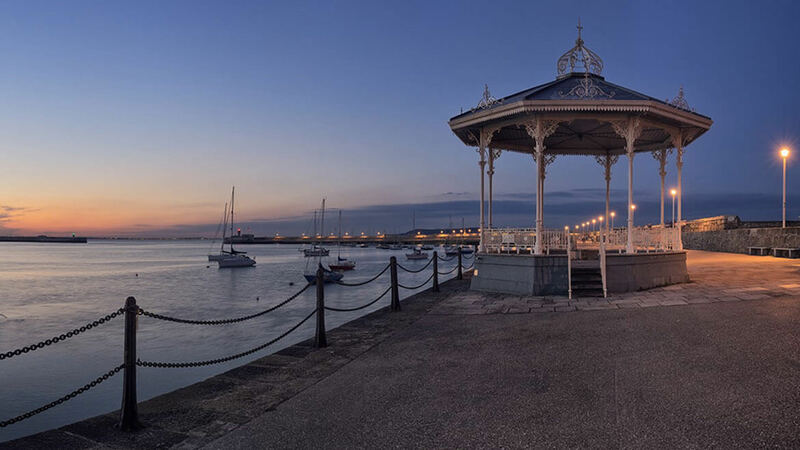 You can walk out onto the piers and enjoy the view of the Dun Laoghaire and Dublin Bay. The 40-foot baths and Joyce Tower to the east, Howth right across the bay, and the beaches and the city of Dublin will make for some beautiful views. Even though a little bumpy, the East of the Pier is best for a stroll. The West Pier is less crowded and provides a clear view of the lighthouse. The Montpelier Hill, often referred to as the Hell Fire Club, a name given to the ruined building at the summit, is closest to the city of Dublin, and the view is well worth the trek up. We recommend you head there at dusk and watch the sunrise from the top. The entire city lights light up in the first ray of sunlight, from the Bay to the suburbs, unveiling in front of you. Whether you choose to start exploring Dublin from the city centre, and head to the outside border, or start from the Bay and surrounding areas towards the city centre, you won’t be wrong. There’s so much to see and experience in Dublin, that often, even 10 days seem too little. We suggest you visit these five stunning places to set your trip to Dublin off to a great start. They all have rich history, tell numerous stories and offer breathtaking views. And are easily accessible by train, bus, car or taxi. If you are not sure how to get there, we are always here to help you arrange a ride and make small tour thought the city. Give us a call any time.